Gourmet apples available September - December. 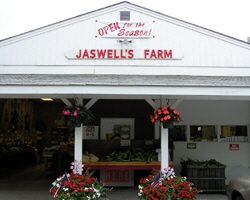 Jaswell's Farm, where it's all about family...yours and ours! From I-295, take Exit 12B off I-295 for Rt. 44 west. Follow Rt. 44 (west) for 0.7 miles to Rt. 5. Turn right onto Rt. 5 for 1 mile. Bear right onto Rt. 116 for 0.5 miles. Turn left onto Swan Rd. for 0.4 miles. Jaswell’s Farm is on left. 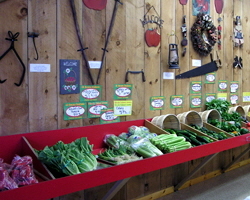 © Copyright Rhode Island Fruit Growers Association. All rights reserved.